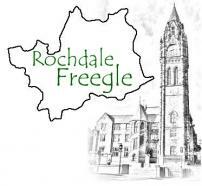 The Rochdale Freegle group is open to all who live in the Rochdale Metropolitan Borough and who want to "recycle" that special something rather than throw it away. BB4, BL0, BL9, M8, M9, M24, M25, M45, OL1, OL2, OL3, OL9, OL10, OL11, OL12, OL13, OL14, OL15, OL16. Please let us know if you have a special reason for posting from outside this area. One main rule: everything posted must be FREE and LEGAL. 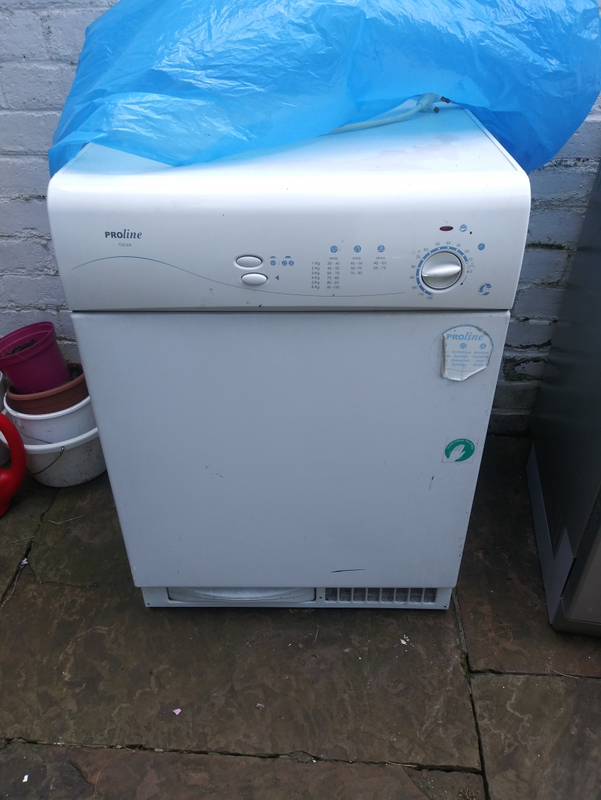 Siemens stainless steel exterior dishwasher. 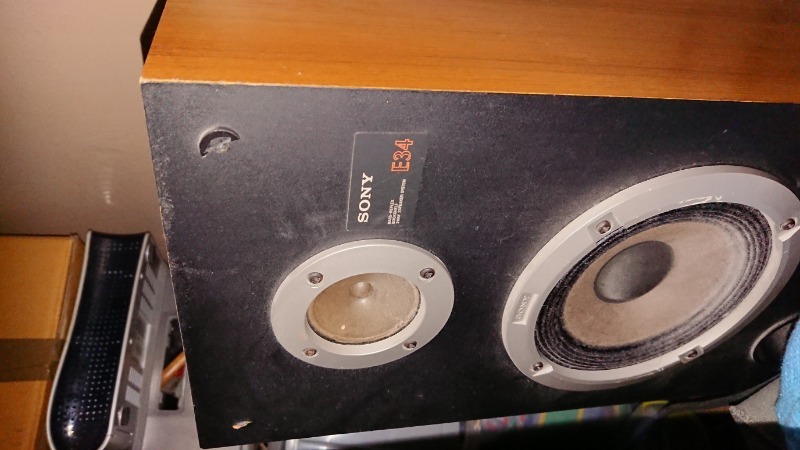 It is not working but it might be of interest to someone for parts only. It has been kept outside for the last couple of weeks. Collection only. 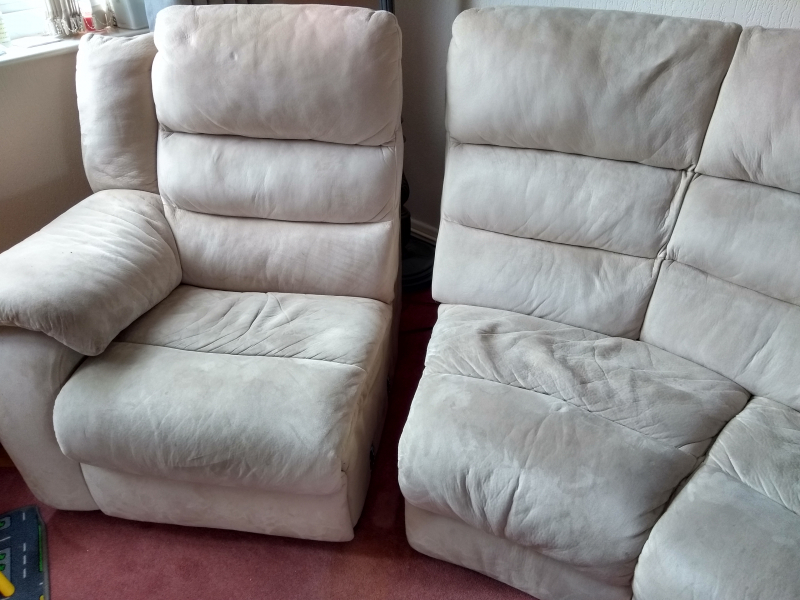 Ivory four seater sofa. Splits into 3 parts for easier transport. One end - seat slightly sags but still usable and comfy. 3.3m at its longest. I provide a hot meal every other week for a peer to peer support group for survivors of childhood abuse . I cook at home and transport the food in a slow cooker, unfortunately this evening I've managed to break the control on it , I have the inner pot for a 6 litre size so if anyone has broken their pot but still has the outer bit they can help me with I'd be happy to collect. Looking for a gents bike for myself. Preferably a mountain bike but happy to accept a road bike. Shade is broken (ring missing see photo). Also stabalising stone broken off. 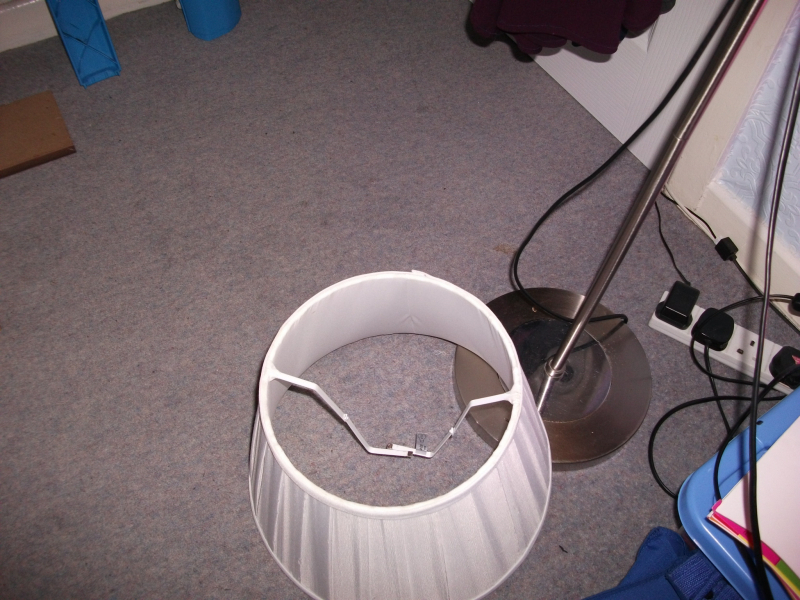 However, it still works so maybe can placed in a corner with repair done to existing lightshade (or can replace). Collection only. Terracotta coloured concrete patio circle Approximately 1m in diameter and 40mm thick Comes in 5 numbered pieces Has small white stones showing through the terracotta. Also has some moss on the pieces. 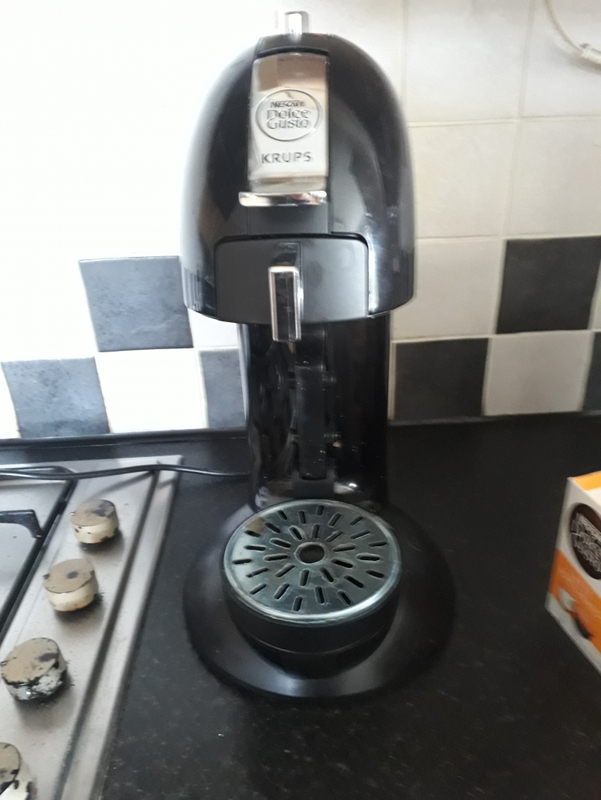 Nestle Dolce Gusto coffee machine. Works perfectly well. Not getting used enough by me. Collect from Littleborough centre. 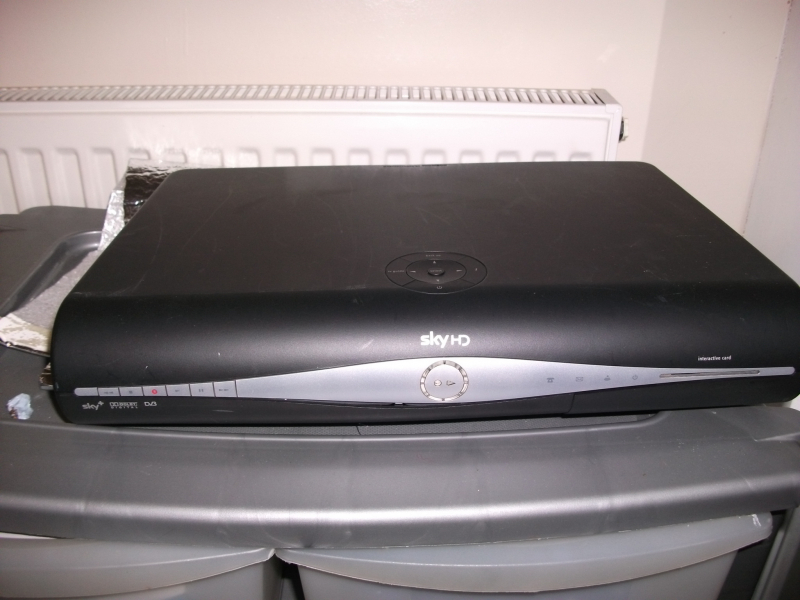 Hi, looking for a remote control for the BT Youview box.. my daughter is moving into her own flat and we have a tv and box for her, but no remote :( Would be great if someone has one lying around. 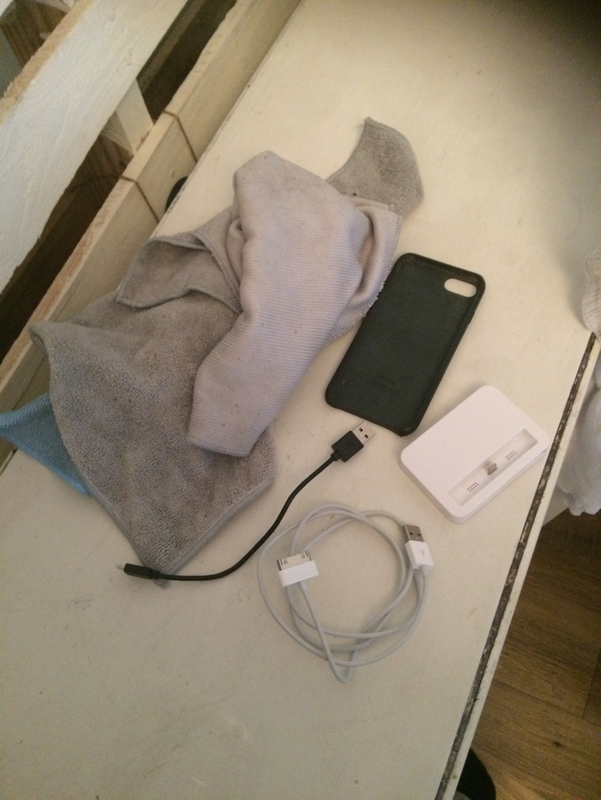 I have a few spare microfibre cloths, two leads, an iPhone 6s or smaller iPhone 7 case (unsure) and an unofficial charging dock which works fine, we just don't need it anymore. All the leads work also. Free to a good home. 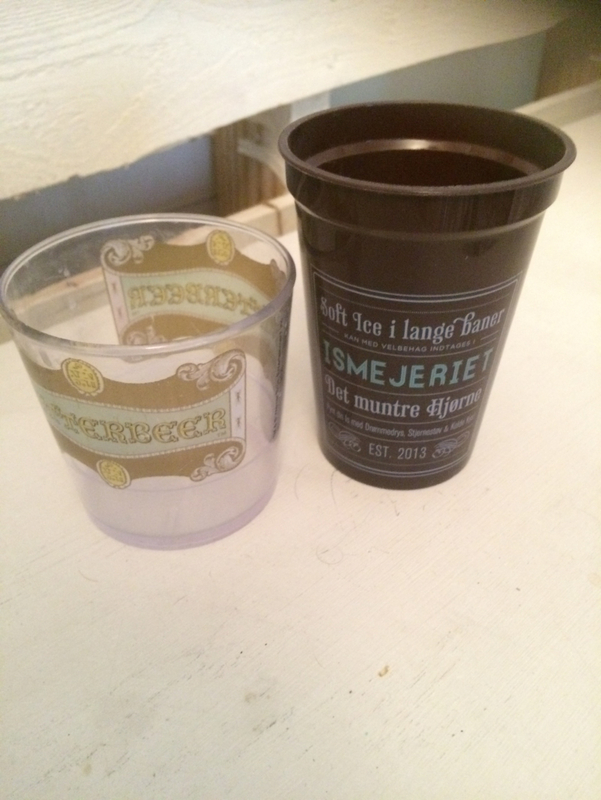 I have two cups we no longer need. One is a butterbean cup from the Harry Potter Studio Tour and another is a hot chocolate cup from Tivoli Gardens in Copenhagen. Free to a good home. 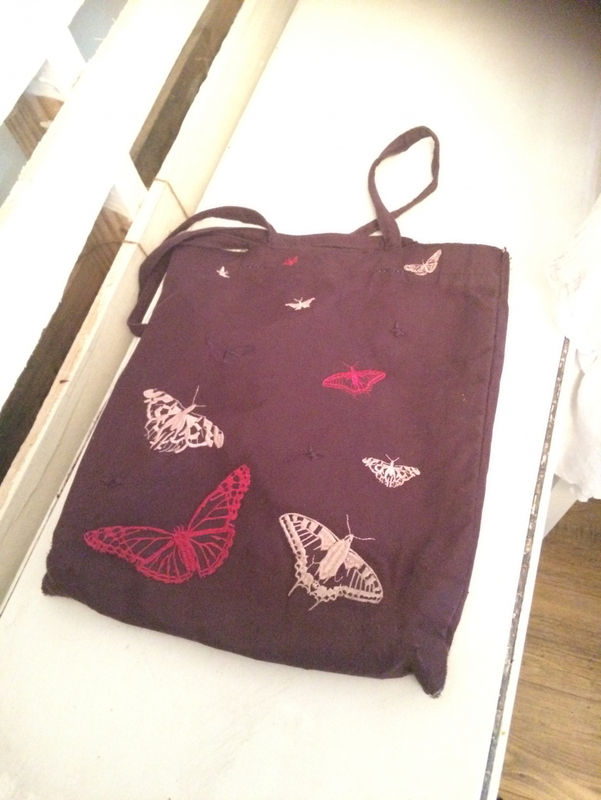 I have a purple butterfly tote bag we no longer need. I think it was originally from Blackwells. Free to a good home. Given to me by a friend but I have no need for it. It appears to be working ok although it could do with a clean and has been kept outside for a couple of weeks (covered). Collection only. 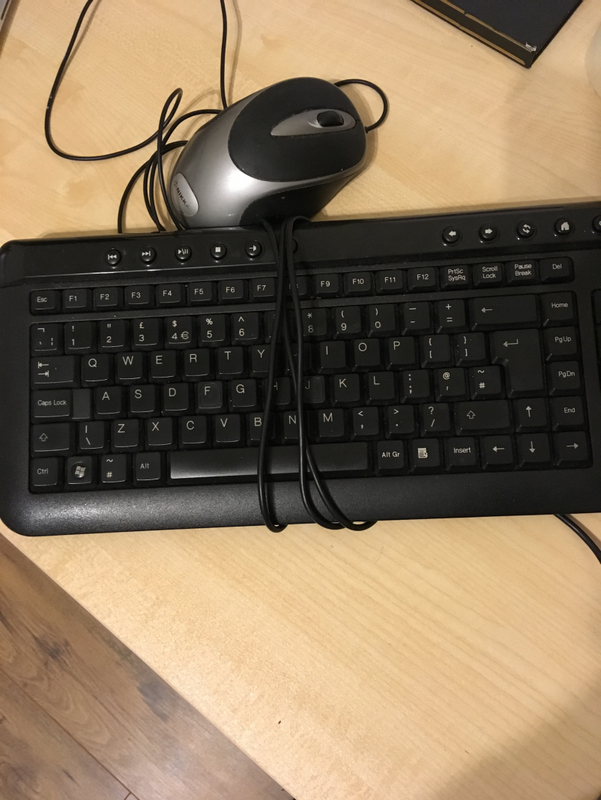 Wired Keyboard and mouse. Both in working order, just getting rid due to upgrading to wireless. Hi All, Bit of a long shot but has anyone got a disused,unloved or broken vinyl cutter/embosser or stencil maker/engraver they no longer require. Looking for one to help a young family member start a small business with craftwork. Collection is no problem .Repairs are no problem. Anything greatly appreciated. Many Thanks in advance. Hi all. Looking for some old flagstones to created a shed base approx 12ft x12ft (4mtres x 4mtres) Condition doesnt matter. Can take up and collect no problem. Thankyou in advance. 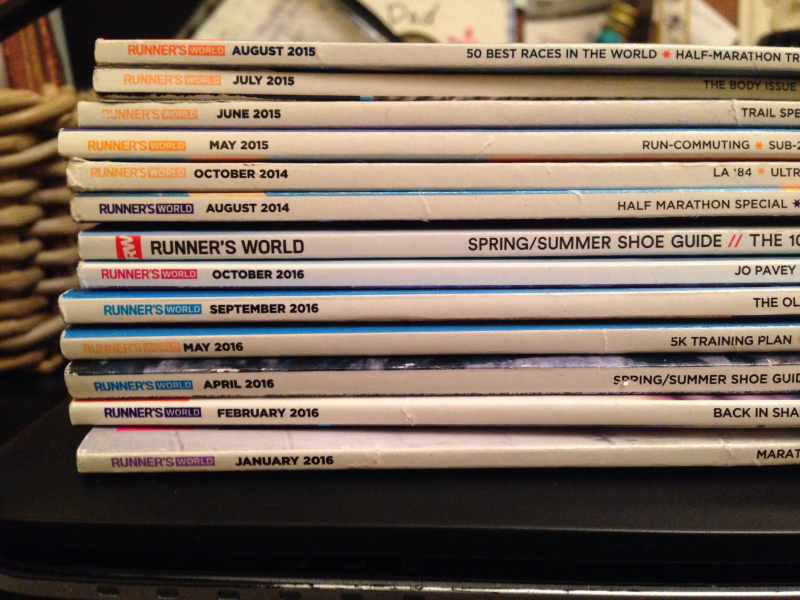 Back issues of Runner's World. No longer wanted. In a used condition. Just the box. 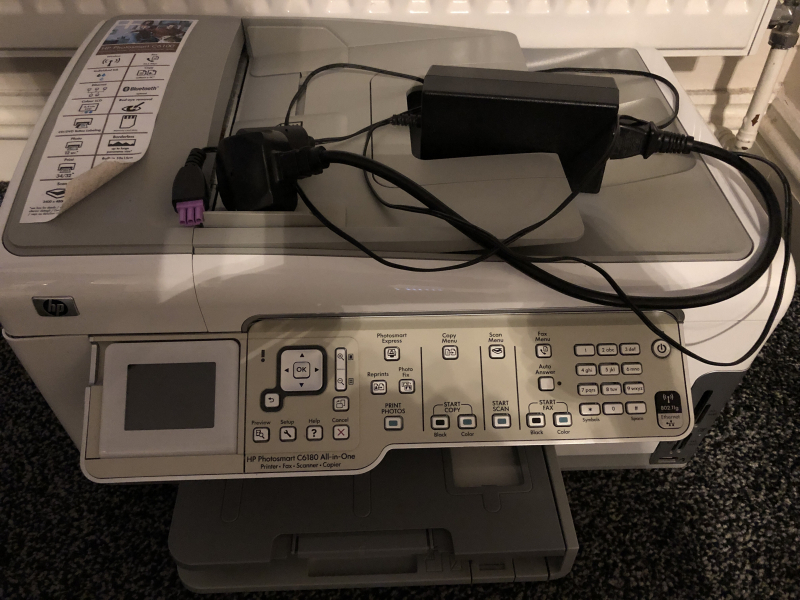 Works but have to keep switching the input lead between the 2 connections at the back of the box every time I unplug the box and plug it back in again the following day. Collection only. 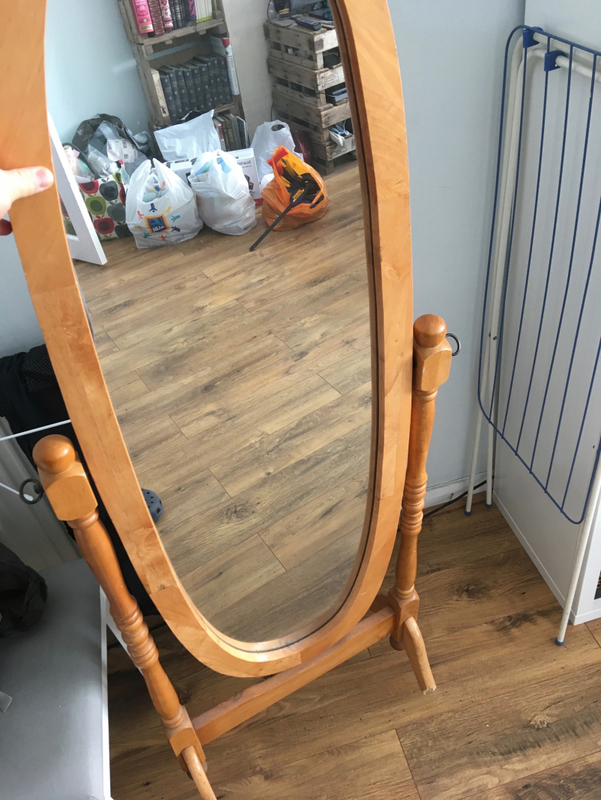 We have a full length mirror we no longer need. One foot is broken - we've made do by leaning it against something and it stay up fine. We have the broken part so if you're handy with a bit of wood glue, I'm sure it could be fixed. Require a scooter in any condition for a child. I have some kids jewellery we no longer need as well as a couple of hair accessories as pictured. Free to a good home. 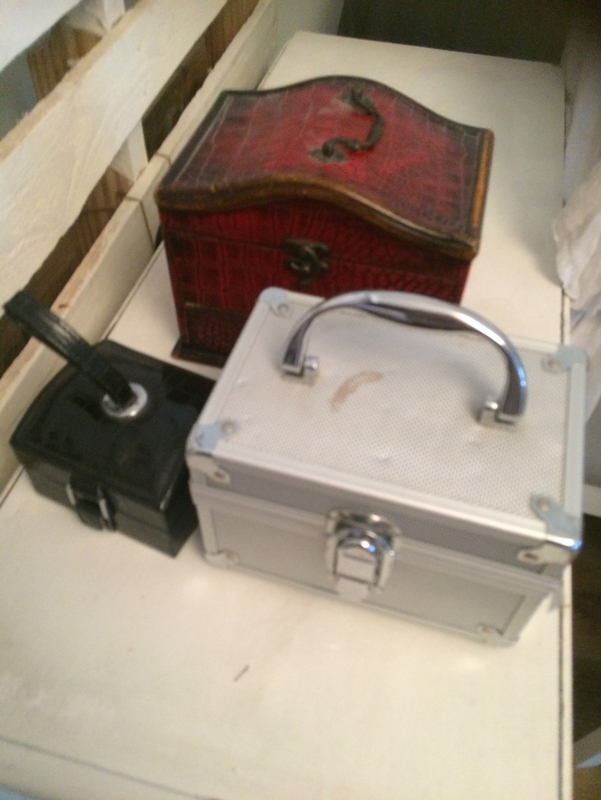 I have two jewellery boxes, a small, black, travel one and a large red one. I also have a metal box I used to use for make up that I no longer need. Free to a good home. 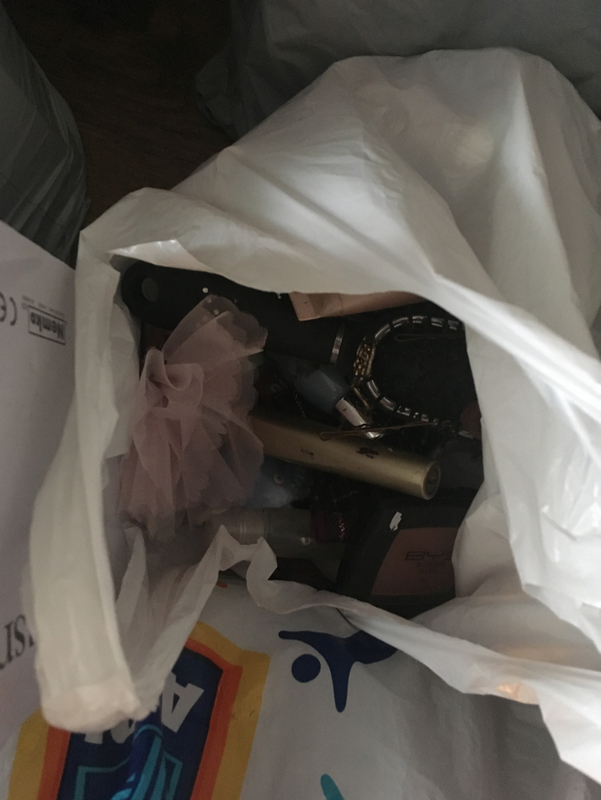 I have a bag of makeup products that I no longer need, perhaps might be nice for a young girl, just starting to experiment. I have some hair straighteners and curlers I no longer need. One is a set of hair straighteners, another is an angel curler for loose curls and the third is a set of rubber curling sticks that heat up and can be used to wrap your hair around in order to curl it. All must go together please. 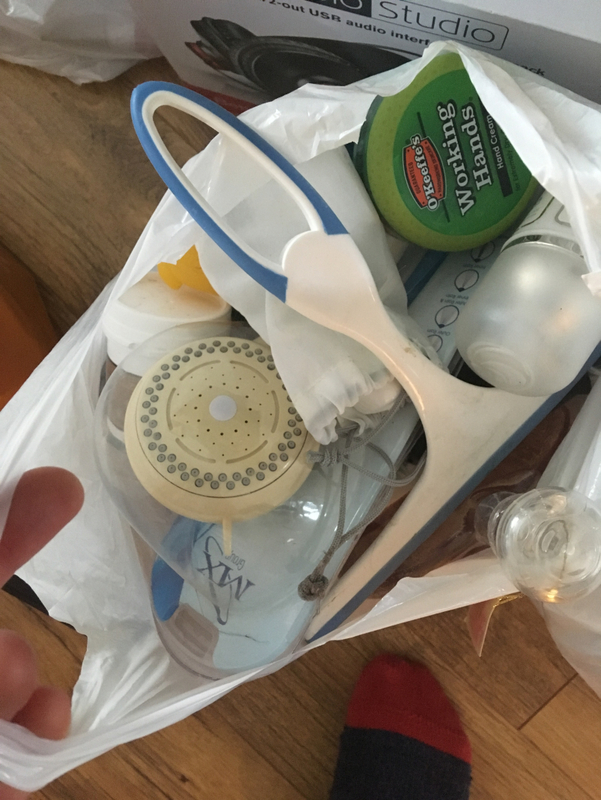 I have a bag of bathroom and cosmetics we no longer need. 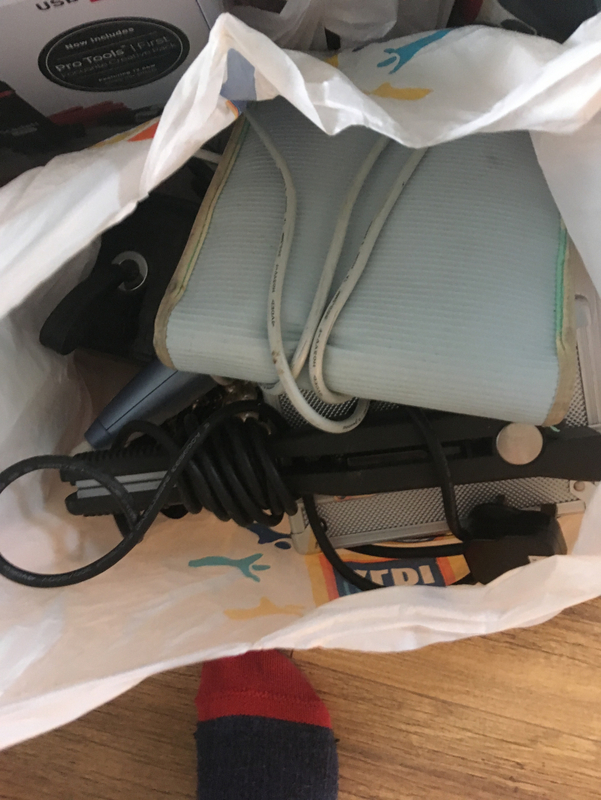 It includes bath oil, unused disposable razors, unopened moisturisers, various perfumes (Joop, Avril Lavigne, Anais Anais etc), two shower heads, shower screen squeegee, coconut oil hair treatment etc. All must go together. I have a bag of tools we no longer need. 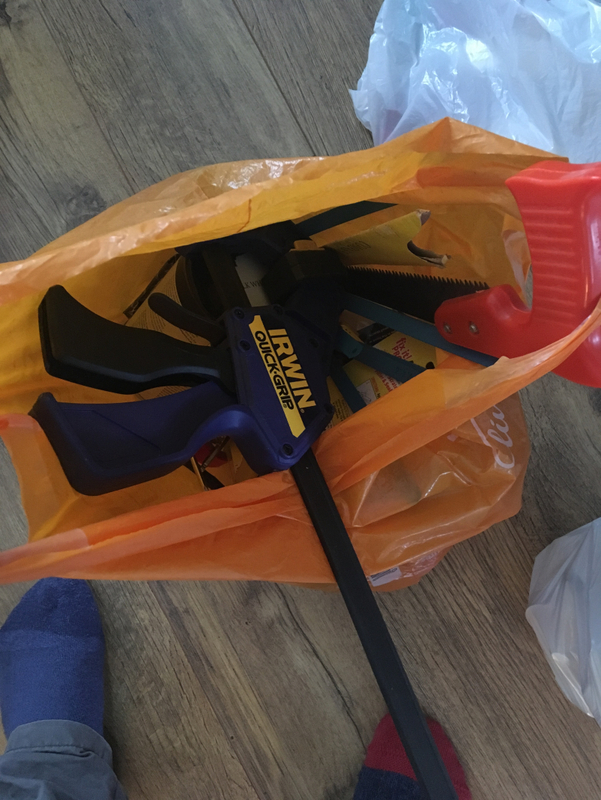 These include a compass saw, screwdrivers, a staple gun with staples and a staple remover, electrical screwdrivers, electrical tape, a clamp, saw blades, nails, screws etc. All must go together please. 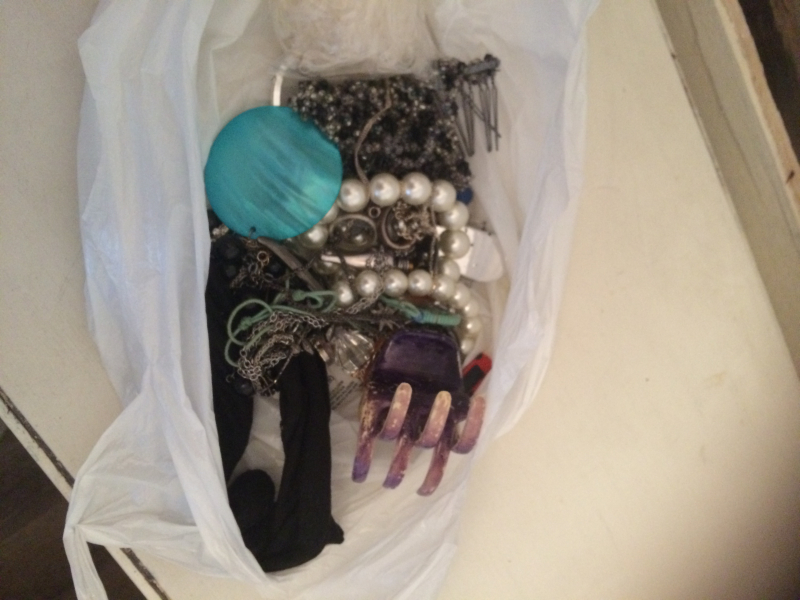 I have a large bag of craft stuff that I no longer need. 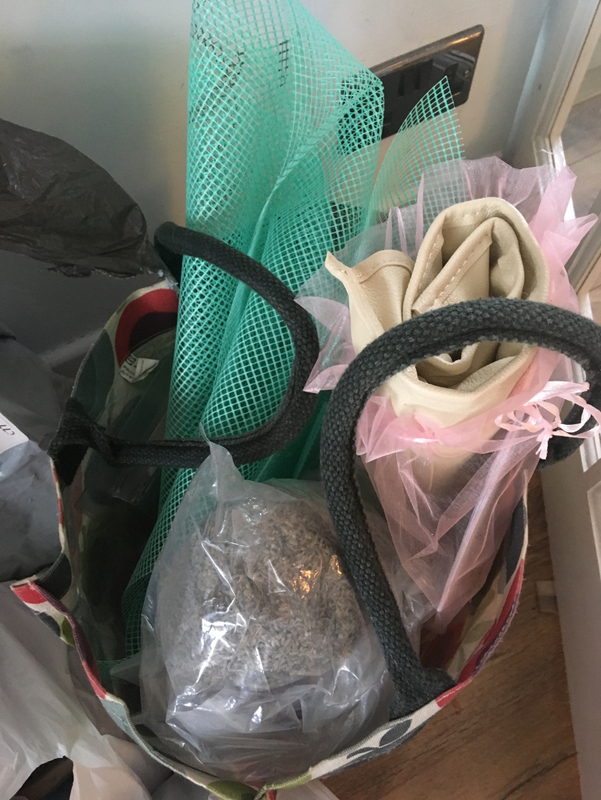 The bag contains small soap moulds, a large loaf soap mould, two large plastic measuring jugs that have been used for soap making, dried lavender and roses, wire netting, wooden knitting needles, some wool made from bananas (I know!!!! It was a present from a friend) patterns to make stuff with it and a crochet hook, and a few other crafty items. All must go together please. 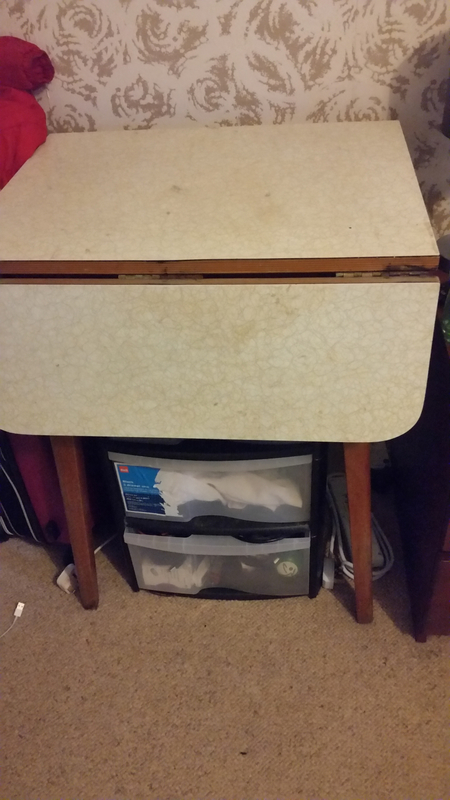 Black Argos desk, about 7 years old which I have no use for now. It is scratched with some paint flakes and screw covers missing but it's structurally sound. Ideal to repaint or cover with fablon/contact paper to freshen up. As you can see it is taking up room and so it's on its side. 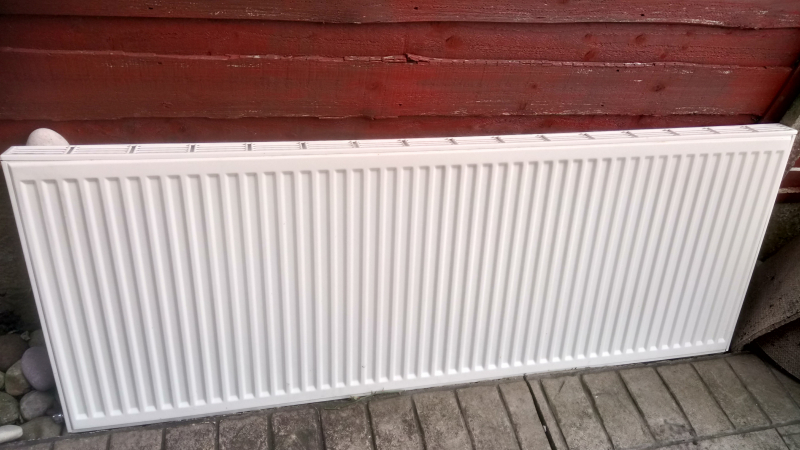 We have removed this radiator as we don't need it. It is excellent condition but is outside at the moment. It is 160cm X 60cm. I have two all brackets to go with it. Double bed and mattress in a good, hardly used condition due to it being used as a guest bed only. The mattress is silent night memory foam 3 zone. The bed frame is metal with wooden slats. 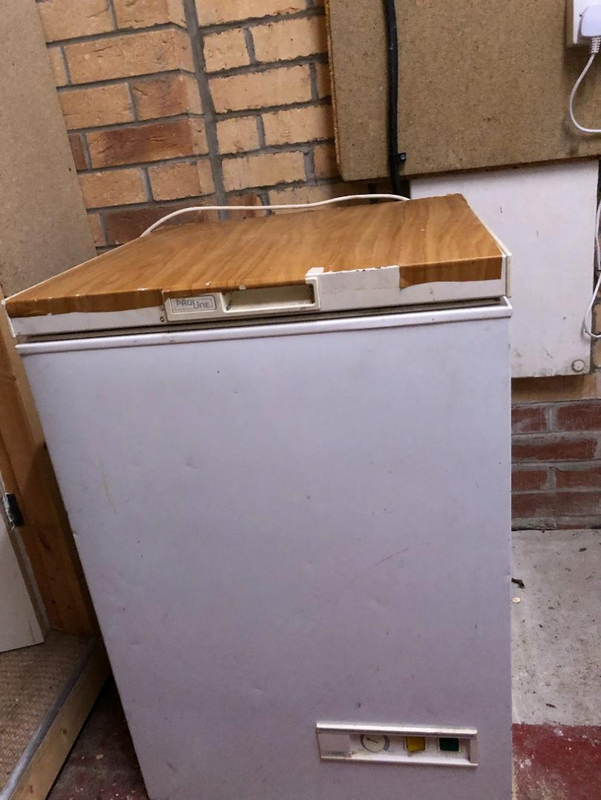 Under counter freezer available. 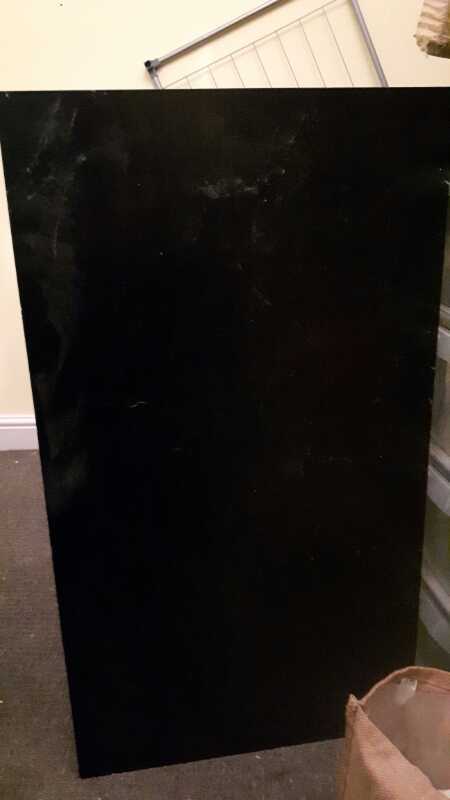 It's a Leibherr Comfort drawer freezer, works perfectly well, one of the drawers is cracked but still usable. No longer required as we've replaced it with a larger one. 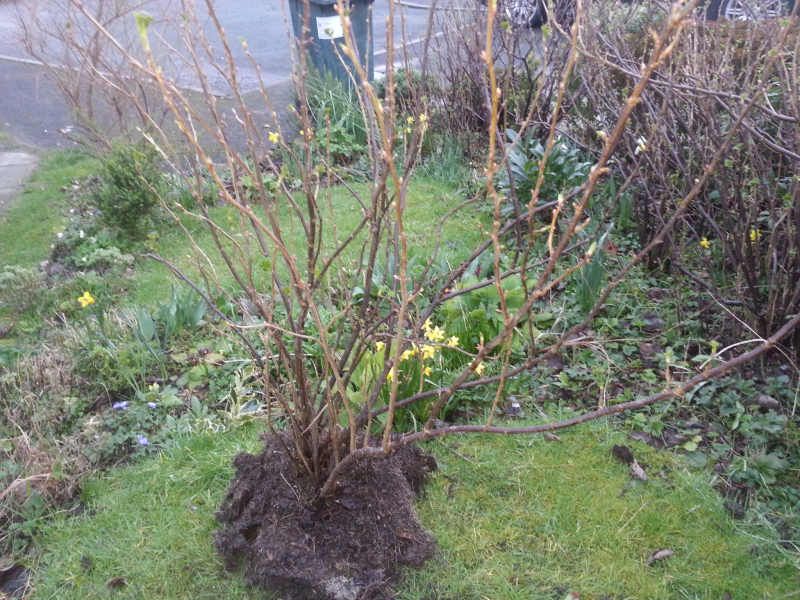 Rooted blackcurrant cuttings about 18 inches high. Off Smithybridge Road. Set of green plastic garden furniture - 2 stackable benches, 4 stackable chairs, and table with removable legs for easy storage. 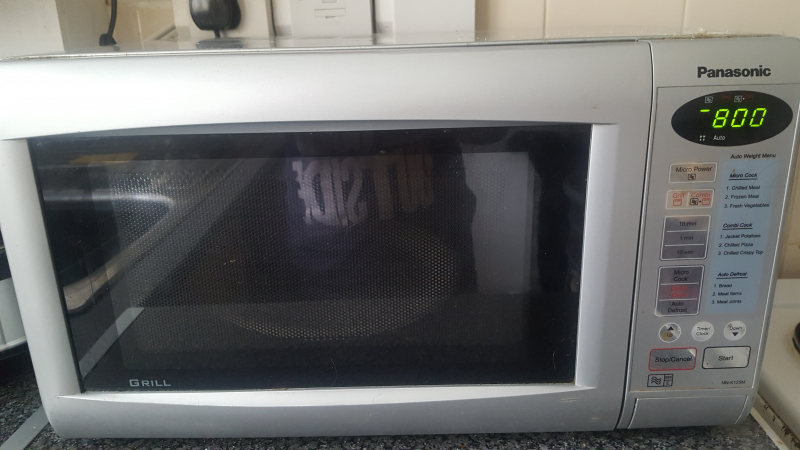 The microwave is about 30 years old but still working. Colour black. It has only been used for warming up rather then cooking and is very slow. I will be scraping it next Thursday unless there are any takers. Collection only from near Rochdale train station. Best time to collect evening after 6pm or Thursday morning. As far as I know these are Window sills. Unused but been left outside since last Summer (made of plastic so no damage). About 7ft (brown) and 5 ft (white). 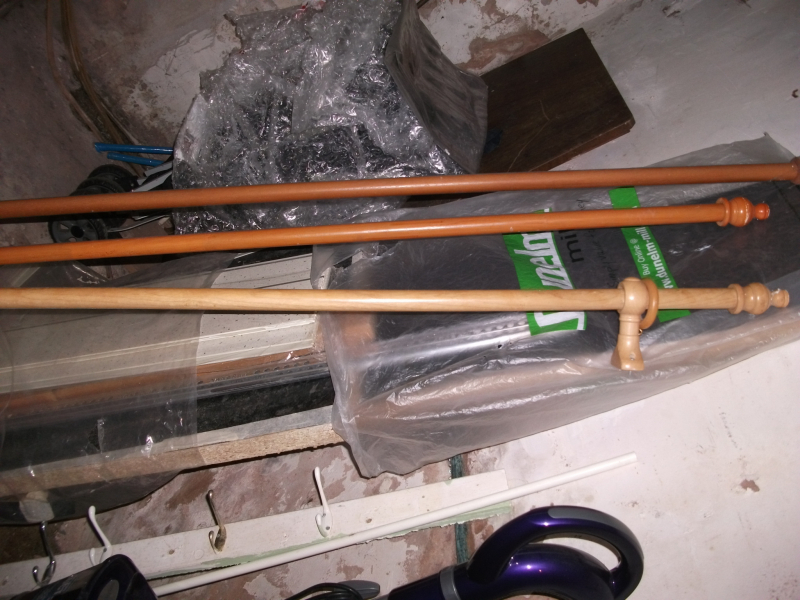 3 curtain wooden curtain poles. They all seem to be fine and usable and in reasonable condition but may need some slight attention. 1 pine x approx 5.5 ft, 2 Walnut (I think) 1=6ft,1=5.5ft. Collection from near Rochdale train station. Daft question but has anyone got a top hat that is gathering dust & no longer of use please .Can collect to suit . Thanks for reading . 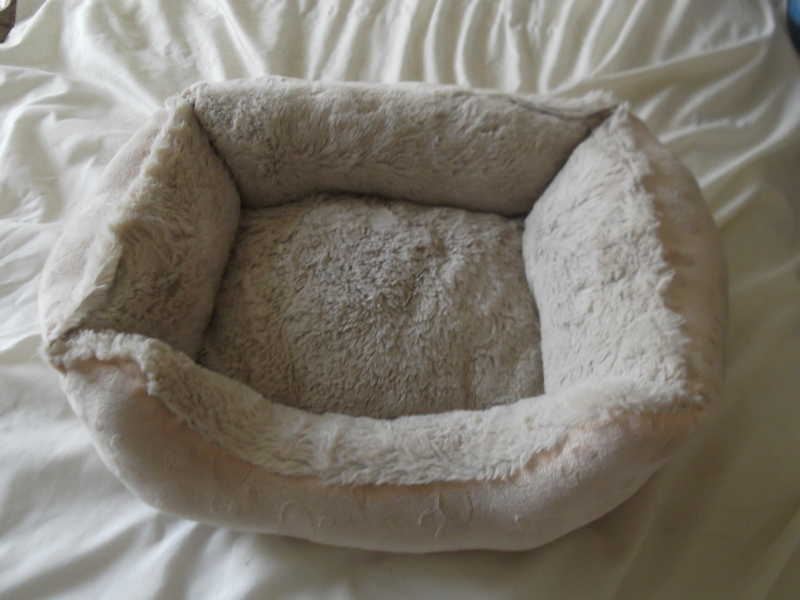 Hello On offer is cat bed in great condition. Thanks Stephen. wooden double bed frame (no mattress). 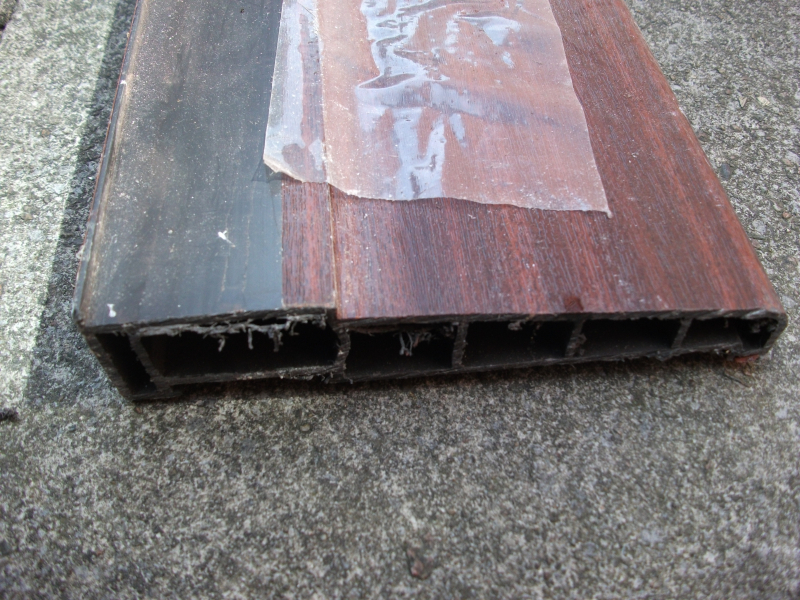 There are 2 slats missing, but this has caused no problems. Some stickers on the end board, but should come off easily. Already dismantled, needs to be picked up from Heywood ASAP.